According to The Wrap, Black Mass director Scott Cooper is currently in talks to direct American Wolf, a movie that—based on its name—will probably end up being major Oscar bait. Unfortunately, the project is not about a patriotic animal that fights for his country, goes to church on Sundays, and loves his wife. It’s actually about a hunter who accidentally kills an endangered American wolf in Yellowstone, and the “unlikely friendship that forms between him and the wildlife researcher who works with wolves in the park.” The plot is based on a true story that—as The Wrap points out—neatly mirrors that of Cecil The Lion, the animal that everyone in the world cared about for five minutes in July but didn’t before and hasn’t since. Leonardo DiCaprio is on as a producer, but nobody has been attached to star. 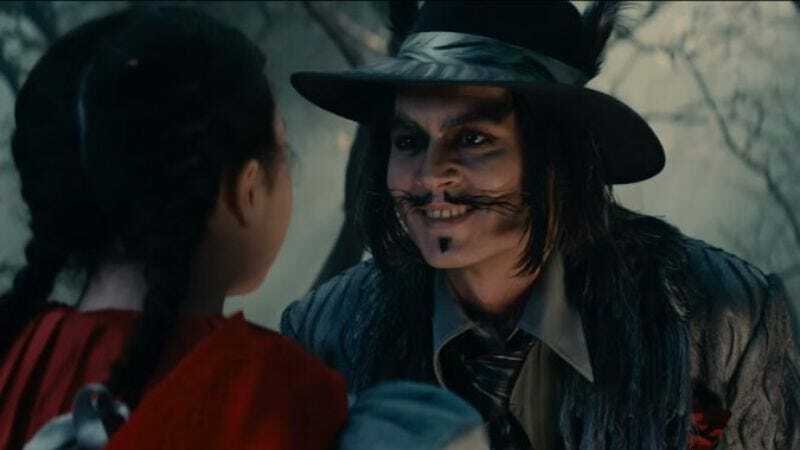 Of course, Cooper just worked with Johnny Depp on Black Mass, and Depp has experience playing a wolf from Into The Woods, so maybe he should get the nod?